While FX is still moving forward with its television adaptation of the comic book series Y: The Last Man, the original showrunners—Aida Croal and Michael Green—announced on Twitter yesterday they are exiting the show. This is heartbreaking news, especially considering the setbacks the beloved comic book series has already suffered. 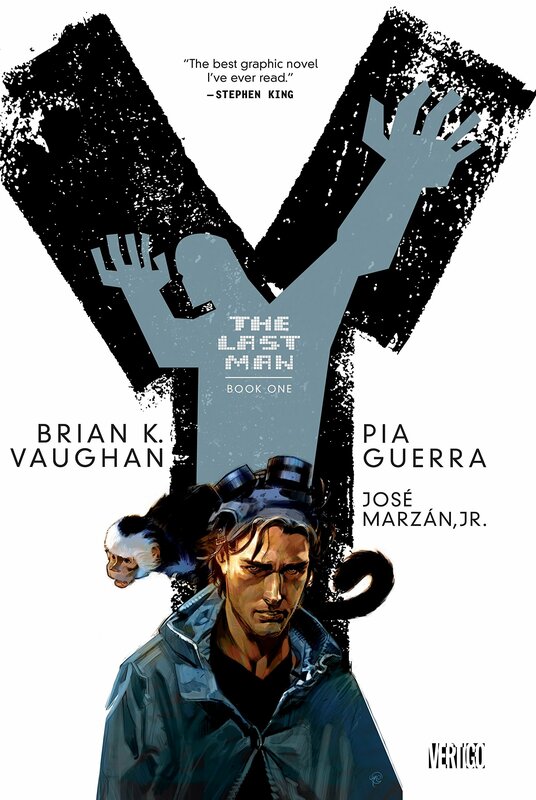 For context, Y: The Last Man is a post-apocalyptic science fiction comic book series that centers around Yorick Brown and his pet monkey Ampersand, the only males who survived the apparent global androcide. The series was authored by Brian K. Vaughan, also known for his work on Ex Machina, and Pia Guerra, has worked in the comics industry since the 1990s for both DC and Marvel comics. It was published by Vertigo from 2002 through 2008. The series received not one, not two, but three Eisner Awards. Before the series was even done, the film rights to the series were acquired by Verigo’s sister company New Line Cinema and in July 2007 screenwriter Carl Ellsworth and director D. J. Caruso, who worked together on Disturbia, were attached to the project with David S. Goyer as a producer, as reported by Variety. However, production stalled. Shia LaBeouf was rumored to be attached and Caruso was reportedly interested in using a real monkey, not CGI, to portray Ampersand. Caruso was eventually replaced by Dan Trachtenberg, who recently directed 10 Cloverfield Lane, who confirmed in September of 2014 that “The rights reverted back to Brian [Vaughan] quite a few months ago”. Luckily, we didn’t have to wait long to hear the great news. In October 2015, The Hollywood Reporter gave us the news that Y: The Last Man would be produced by Nina Jacobson, producer of The Hunger Games, and Brad Simpson, producer of Crazy Rich Asians, alongside Brian K. Vaughan, who would also write for the show. Come November 2016, Slash Film reported that Michael Green, writer of Blade Runner 2049, had been added to the project as a showrunner. The show was getting made! But now Aida Croal and Michael Green are out. FX is still moving forward with the project, marching forth. Hopefully the next development is a good one and another setback.